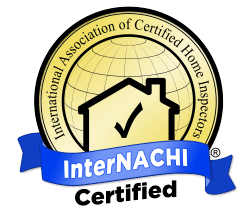 Our Home Inspectors at On The Gulf Home Inspection Services are available 7 days a week servicing St. Petersburg, Pinellas Park, Clearwater, Palm Harbor, Safety Harbor and the surrounding Tampa Bay area to accommodate your schedule and all of your inspection needs. Contact us at (727) 421-7650 or by email for any questions youmay have regarding either a Home Inspection, Wind Mitigation Inspection, Pre-Sale Listing Inspection, Four Point Insurance Inspection, Roof Certification Inspection or a Home Maintenance Inspection. With a purported average of some 360 days of sunshine each year, it is nicknamed "The Sunshine City." For that reason, the city of St Petersburg has long been a popular retirement destination, especially for those in the United States from colder Northern climates. This reputation earned the city the derisive nickname of "God's waiting room". However, in recent years the population has shifted in a more youthful direction. Philadelphia publisher F. A. Davis turned on St. Petersburg's first electrical service in 1897 and its first trolley service in 1904. The city of St Petersburg first major industry was born in 1899 when Henry W. Hibbs, 1862–1942, a native of Newport, North Carolina, established his wholesale fish business at the end of the railroad pier, which extended out to the shipping channel. Within a year, Hibbs Fish Company was shipping more than a thousand pounds (454 kg) of fish each day. The population of St. Petersburg continued to multiply during the 20th century. Booming in the 1940s and 1950s with the advent of air-conditioning and through the 1970s as the town became a popular retirement destination for Americans from midwestern cities, reaching 238,647 in the 1980 census. By that time, however, the population had levelled off, and has grown by only 10,000 since then; this is primarily a result of the city being largely "built out". St. Petersburg has a humid subtropical climate with a definite rainy season from June through September. St Petersburg, like the rest of the Tampa Bay Area, is occasionally affected by tropical storms and hurricanes. However, the last time a hurricane directly struck the city was in 1921. Many portions of St. Petersburg, especially along the bay and in south St. Petersburg, have tropical microclimates. Royal palms and coconut palms, as well as other tropicals, grow to maturity and fruit. As of 2000, speakers of English as their first language were 88.53% of residents, Spanish as a mother tongue was 4.43%, German accounted for 0.78%, French made up 0.72% of speakers, Vietnamese at 0.67%, Serbo-Croatian 0.52%, and Laotian comprised 0.51% of the population. St. Petersburg has a children's museum (Great Explorations), Museum of Fine Arts, a History Museum (which has a full-size replica of the Benoist seaplane and is located near the approximate spot by the St. Petersburg Pier where the first flight took place), a Holocaust Museum, and the Salvador Dalí Museum, which houses the largest collection of Dalí's outside of Europe, including a number of famous and large-scale paintings such as The Discovery of America by Christopher Columbus. There are also various other smaller art galleries and entertainment venues, especially in the downtown St. Pete area, which has seen a boom in development since the mid 1990s; these include: The Mahaffey Theater complex, American Stage (an equity regional theater), The Coliseum, and Palladium Theatre, and The Midtown Royal Theater, The Arts Center, and the Florida Craftsmen Gallery. The St. Petersburg Pier is a popular tourist attraction. It contains a small aquarium open to the public, retail shopping, adventure activities, and both casual and fine dining restaurants. Various sightseeing boat rides are also offered. The Bounty II, a replica of HMS Bounty that was used in the 1962 Technicolor remake of "Mutiny on the Bounty" starring Marlon Brando, was permanently docked near the Pier for many years until the ship was sold to Ted Turner in 1986. The Bounty II, however, still makes St. Petersburg its winter home. In 2010, the St. Petersburg City Council voted to demolish and rebuild the pier within two years. Downtown St. Pete is the location of the BayWalk shopping complex which contains an IMAX Muvico 20 screen movie theater, as well as many chain restaurants and retail shops, catering to more of a middle and upper class audience. Baywalk is also a nightlife destination although it is less well attended than the block surrounding Jannus Live, just south of BayWalk. Central Avenue, from the Yacht Club west to 8th Street, is also both more vibrant and "organic" than BayWalk with the exception of a couple underdeveloped blocks. Restaurants serving ethnic and domestic culinary specialties can be found throughout the downtown area. Every Saturday morning, from October to May, the downtown area hosts a farmers market in the parking area of Al Lang Field (aka Progress Energy Park). Local vendors sell the fruits of their labors (whether edible or decorative) alongside artists of all kinds including live music. As of 2010, Baywalk is virtually deserted, with only Muvico remaining to anchor the complex. Due west of downtown St. Pete on Central is a district called Grand Central which is contained within Historic Kenwood. It is known for its artistic community, LGBT presence and hosting of the annual St. Pete Pride parade. Like its name implies, Old Northeast is adjacent to downtown St. Pete from the northeast. It is known for its historic status and eclectic architecture. Roser Park is another historic district, located just south of downtown. It is known for its stately architecture and somewhat dubiously for its proximity to the "South Side." Together, these areas comprise the urban core of St. Petersburg. North of downtown St. Petersburg is Great Explorations, The Children's Museum, an interactive museum featuring a Children's Village with giant pretend stores, Fire House and Pet Vet Clinic, and preschool, science, music, art, and water exhibits. The museum is located next to Sunken Gardens. 4th Street as a whole, from Downtown St. Pete up to Gandy Boulevard, is home to many restaurants and bars running the gamut from fast food to haute cuisine. This area is called the "Garden District", although as of 2010 this name is not widely in use. Boyd Hill Nature Park located on Lake Maggiore is a 245-acre preserve where you can see many of the endangered plants and rare wildlife of Tampa Bay. There is a bird exhibit which houses bald eagles, owls, hawks, and other species. St. Petersburg is well regarded for its beaches. In 2005, Fort Desoto was rated the number one beach in America by the annual Dr. Beach rankings. TripAdvisor also has the beach ranked number one in the nation for 2008. Also noted for its arts community, St. Petersburg regularly places top 25 in the nation among arts destinations Recently, St. Petersburg has become known and regarded as one of America's most livable cities. The Mahaffey Theater complex, the Morean Arts Center, dozens of other art galleries, Haslam's used book store, The Coliseum, Palladium Theatre, and Jannus Live are among the galleries and cultural venues featured in downtown St.Pete. Several prominent museums are located in the perimeter. Four of them have received notable accolades: Chihuly Collection presented by the Morean Arts Center, Museum of Fine Arts, Salvador Dalí Museum, the Florida International Museum, and the Holocaust Museum. The city of St. Petersburg also plays host to many festivals throughout the year. Most of the dining downtown St. Petersburg can be found on or near Central Avenue or on Beach Drive near the waterfront. Central Avenue and adjacent streets also contain most of the active nightlife scene which includes bars, lounges and clubs to suit most tastes as well as two busy concert venues: Jannus Live and the State Theatre. The nightlife scene is credited to recent demographic and regulatory changes. In 2010, the city council voted to extend bar hours until 3 A.M., identical to cross-bay "rival" Tampa. Tropicana Field, home of Major League Baseball's Tampa Bay Rays, is located in the western part of downtown St. Pete. Until 2008, the team played its spring training games at Progress Energy Park, right down the road. This setup was unique, making St. Petersburg the first city that played host to its baseball team during spring training as well as the regular season since the 1919 Philadelphia Athletics. Jutting a half mile into Tampa Bay is the St. Petersburg Pier, a major tourist attraction with various activities. Due to its livability and myriad amenities, St. Petersburg's downtown has been rated among the best in the South.The area's beaches are a 10-mile drive from downtown. St. Petersburg is also becoming one of the largest destinations in Florida for kiteboarding, a relatively new water-sport, with locations such as Ft. Desoto Park, Pass-a-Grille, and Ten-Cent. St. Petersburg locals such as Billy Parker and Alex Fox have gained a reputation for being some of the best kiteboarders in the world. St. Petersburg's daily morning newspapers are the St. Petersburg Times as well as its free daily sister publication tbt. Other newspapers available in the area are the daily The Tampa Tribune and the free weekly alternative newspaper Creative Loafing. St. Petersburg is in the Tampa-St. Petersburg television and radio markets. WTSP channel 10 (CBS) and WTOG channel 44 (The CW) are licensed to St. Petersburg, with studios in unincorporated Pinellas County in the Gandy Boulevard area just north of the St. Petersburg limits. Bay News 9, the local cable TV news service, is based in northeast St. Petersburg. Independent station WTTA is licensed to St. Petersburg, with studios in Tampa. The city of St. Petersburg owns WSPF-CA channel 35, which broadcasts city government programming. Despite not having a team in the city since 2000 (with the St. Petersburg Devil Rays), St. Petersburg is also home to Minor League Baseball's main headquarters. It is located on Bayshore Drive, adjacent to Progress Energy Park and its parking lot. Florida Bank: 34th North Branch at 3065 34th Street North St. Petersburg branch established on 06/08/1998. Info updated 04/02/2009: Bank assets: $86.0 mil, Deposits: $68.5 mil, headquarters in Tampa, FL, negative income in the last year, Commercial Lending Specialization, 14 total offices, Holding Company: Florida Bank Group, Inc.